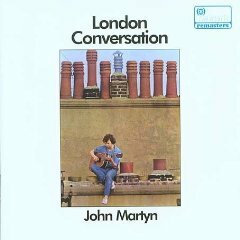 John's debut album was recorded in mono and released in October 1967 when John was 20 years old. The album is in the folk tradition and contains some excellent lyrics and jazzy instrumentation such as the sitar and flute in Rolling Home. As a result it won praise and the instrumentation distinguished John from his contemporaries in the folk scene. Back To Stay is a beautiful love song with a sad and dreamy melody, a sign of things to come ! It is reported that John had only been playing the guitar for a few months when the album was recorded and was influenced by two people in particular that he knew . "Les Brown, who is completely unknown and has never recorded...he plays a kind of American Doc Watson guitar very very well. Lovely voice. Also a friend of mine called Paul Wheeler who is featured on the second album."